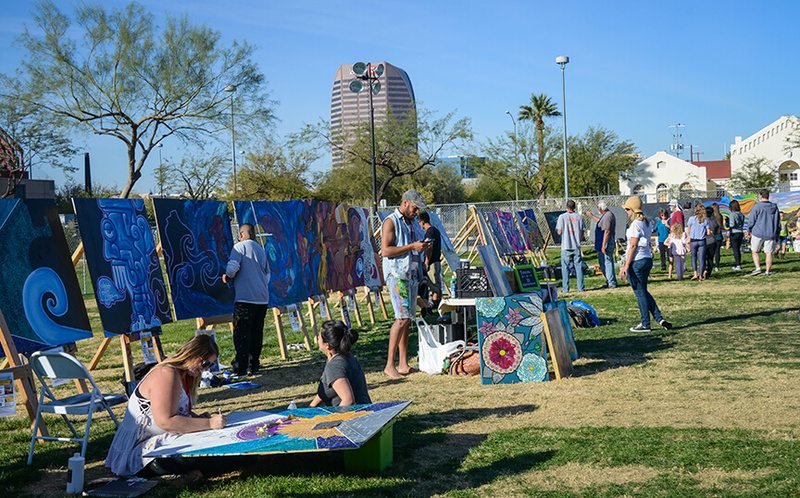 Wire* — Phoenix Festival of the Arts returns to Margaret T. Hance Park this weekend, December 8-10, for the sixth annual celebration of Phoenix arts and culture. 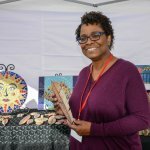 Featuring more than 150 art vendors, it’s the perfect time to shop for local art and celebrate the season. Live entertainment, taking place on 3 stages, includes local bands, solo artists, dancers, choral groups, spoken word artists, comedians, artist demonstrations, and more! The Family Zone, presented by the Phoenix Center for the Arts Teen Artist Guild, provides fun, free activities for families all day long. Activities include face painting, the teen art show & sale, and lots of fun with Phoenix Youth Circus Arts. Beer and wine, sponsored by Hensley Beverage Company, can be carried throughout the Festival grounds. 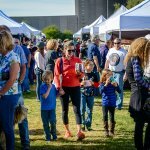 This year’s food vendor lineup includes 2 Fat Guys Grilled Cheese, Satay Hut, Fluffy Vegans, Cactus Corn, Paletas Betty, White Eyes Fresh Fry Bread, Freak Brothers Pizza, Royal Solitude Coffee, Local Lunchbox, Mamma Toledo’s The Pie Hole, Scottsdale Soda Company, RockStar Hot Dogs, and Wandering Donkey. The Festival Main Stage, sponsored by The Rebel Lounge, includes some of the best local bands in town. 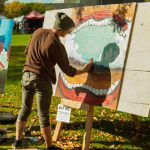 The Entertainment Pavilion, sponsored by Muse, features art demonstrations, circus performances, dance ensembles, spoken word poets, choral groups, and more! The Acoustic Stage, sponsored by Soliloquies, will offer up some amazing up-and-coming solo and duo acts from around the Valley. 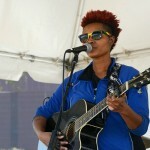 For more information, visit phoenixfestivalofthearts.org or call 602-254-3100. 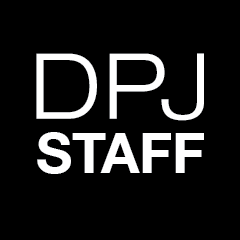 Friday, December 8 from 12 p.m. to 5 p.m.
Saturday, December 9 from 10 a.m. to 5 p.m.
Sunday, December 10 from 10 a.m. to 5 p.m.
Parking/Transportation: Limited parking available in the Phoenix Center for the Arts parking lot. Street parking also available. Avoid the hassle and take METRO Light Rail to the McDowell/Central Ave or Roosevelt/Central Ave. Bike racks available onsite. Event Highlights: Three days of live arts festivities – 150+ arts and cultural exhibitors! Plus a hands-on community mural, food trucks, live entertainment on 3 stages, beer & wine, Family Zone activities, and more. Phoenix Arts & Culture Directory: This take-home guide to all things arts & culture in Phoenix will feature information on the participating arts and cultural organizations. 5,000 will be handed out at the Festival…for free! 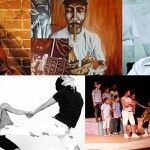 Photos by Peggy Coleman, courtesy of Phoenix Center for the Arts.